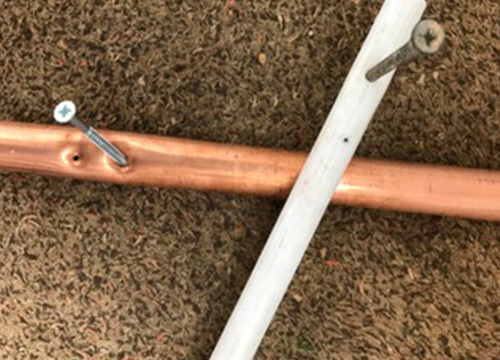 When a nail has been either hammered or drilled accidentally into a gas pipe you must immediately turn off your gas supply and call a qualified gas engineer. D.Birtles would arrive and repair or replace the damaged copper pipe. If the nail had gone into a lead pipe, then the lead pipe would be replaced. Please call D.Birtles in an emergency on 07957 138389 for a swift response.